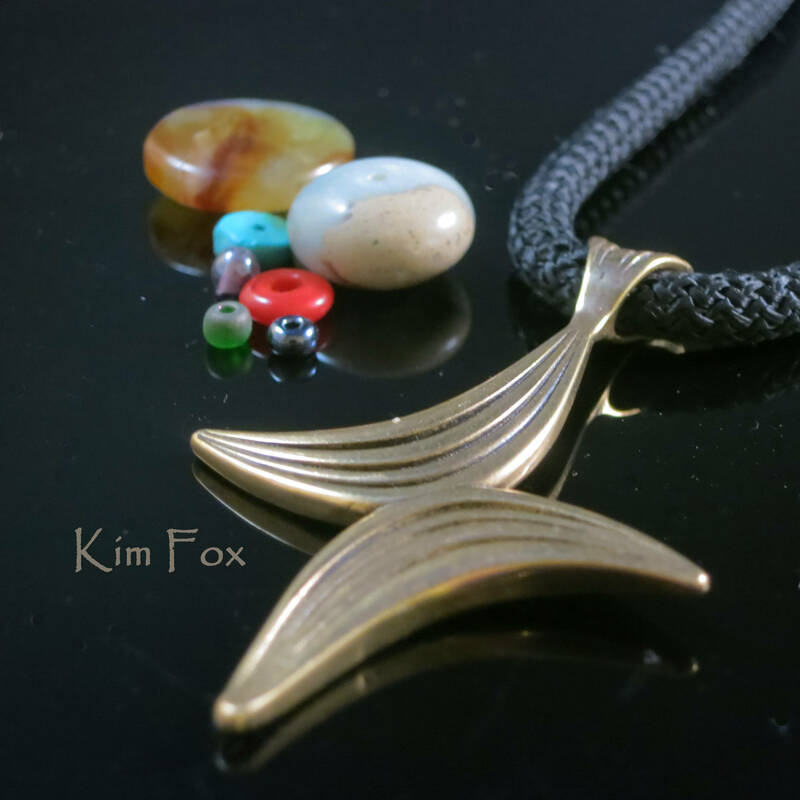 This graceful cross/butterfly is 2 1/2 inches by 1 3/4 inches and makes a great impression whether you wear it with the cord it comes with, a scarf, a chain or a leather cord. The cross is the same on both sides and is made of tarnish resistant golden bronze. 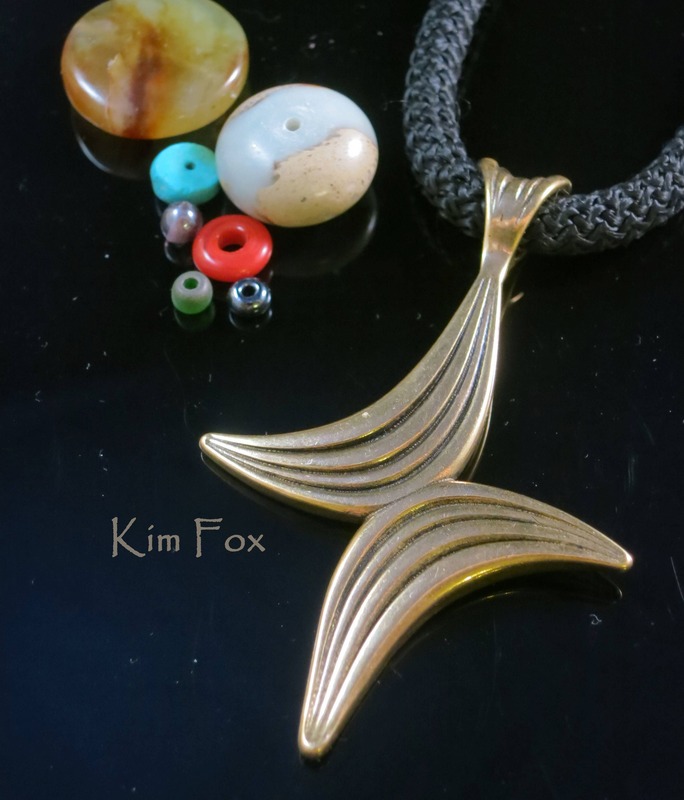 Kim Fox designs and manufactures her jewelry in the United States.